I hope you are all celebrating the fact that summer is here! The sun is out, the fresh breeze fills the air, and the beaches are full. If you are anything like me, getting into that bikini may feel like a daunting task. Le Reve is here to tell you that YOU, yes, YOU are beautiful just the way you are! Let Le Reve take care of you this summer so you can strut the Santa Barbara beaches glowing with radiance! Our famous Blueberry Body Slimming Wrap is specially catered to take care of the mind, body and soul. This therapeutic treatment is for the whole body. First, your skin is covered with a blueberry scrub to soften and exfoliate. Your body is then drenched with a slimming gel wrap to tone and increase elasticity. This treatment will increase collagen and infuse the skin with moisture. After this treatment my skin felt tight, smooth and my mind felt refreshed! Enjoy a Mini Vacation at Le Reve! Come into Le Reve to enjoy a Mini Vacation! 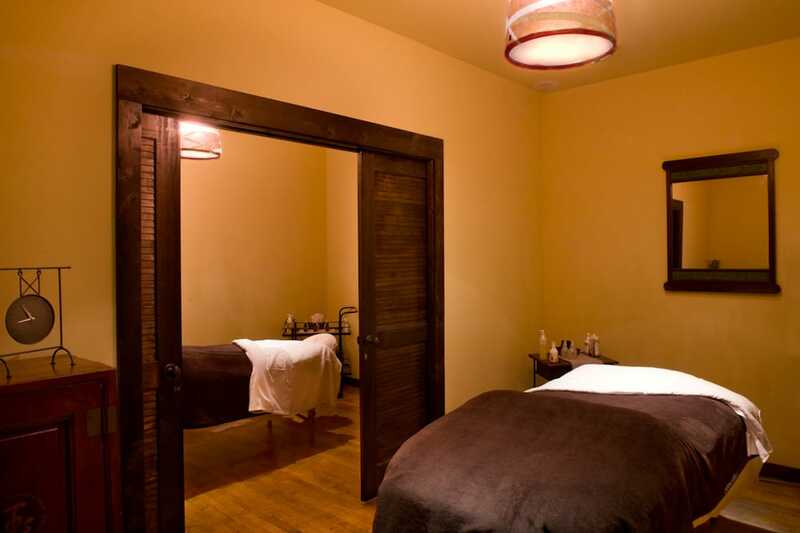 This two hour spa package is just what you need on a nice summer day in Santa Barbara. Our Mini Vacation includes a Mini Refresher Facial, a 30 Minute Massage, a Le Reve Manicure, and a Le Reve Pedicure. Our Mini Refresher Facial. is a great way to ease in to facials! This is ideal for new clients or for someone who likes a relaxing facial without extractions. Your skin will be analyzed by an esthetician, exfoliated, and a mask will be applied to suit your skins needs. Your Mini Vacation would not be complete without a massage! Our 30 Minute Massage. is the perfect amount of time to leave your body and mind at ease. Treat not only your skin, but your nails to this beyond relaxing and amazing manicure. Our Le Reve Manicure. will leave your hands glowing. Your hands will be soaked in all organic milk and oats. 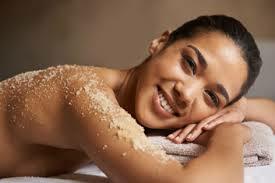 After, your skin will be exfoliated using an herbal polish that is very rich in anti-oxidants. A massage will be performed to hydrate and heal your hands. Do not forget that a full manicure. will also be included. Since we are a green certified spa, we only use all natural and non-toxic nail polishes. Everyone likes to be able to show off their toes, especially in the summer time! Our Le Reve Pedicure. will leave your feet feeling soft and clean. Your feet will be soaked in organic milk and oats. Then, your skin will be softened by an herbal polish rich in anti-oxidants. A massage will be given to hydrate and heal your “soles”. And of course, you cannot forget that a full pedicure will be included with expert care. Hello lovely followers and friends! Today I thought I’d give you guys a little bit more information about the massage options here at le Reve. Our massages come in increments of 30 minutes, ranging from 30-90. For only $30, we also offer a 15 minute Head, Neck, and Shoulder Massage. Our massage therapists are incredible skilled and experienced in all types of massage. Therefore, they will be able to speak with you before they begin to specialize the service to fit your needs. Apart from these options, we also offer Hot Stone Massage and Barefoot Massage. Our Hot Stone Massage lasts 90 minutes and goes for $140. It employs the use of pressure points throughout your body to give you a deeply therapeutic massage. Our Barefoot Massage can last for 90 minutes or 120 minutes, making it the longest possible option for a single service here at le Reve. It takes place in our special Barefoot Room and is comprised of slow, deep, and thorough compressions. that’s why we have SUNLESS TANNING here at Le Reve! Sunless tanning is a safe alternative to laying out in the sun or going into a tanning bed. There are many risks that come with sun tanning, including skin cancer, discoloration of the skin, and premature aging just to name a few. SUNLESS TANNING is a great solution to achieve an amazing summer glow without the damage. Here at Le Reve, we have done a lot of research and found the perfect solution for a healthy, long lasting, natural looking tan. xoxo, Courtney Spa Coordinator Safe Summer Glow! Beat the Rain with a Comforting Hot Stone Massage at Le Reve! 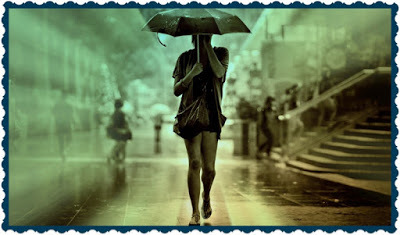 We all know how much we need the rain and while Mother Nature replenishes all of Santa Barbara’s foundation stop in for a healing Hot Stone Massage a to replenish yours. There is no better time than a lovely raining day to experience the power of Healing Hot Stone Therapy. Hot stone massage therapy melts away tension, eases muscle stiffness and increases circulation and metabolism. Each 90-minute hot stone massage therapy session promotes deeper muscle relaxation through the placement of smooth, water-heated stones at key points on the body. Our professional massage therapists also incorporate a customized massage, with the use of hot stones which offers enhanced benefits. All of these wonderful benefits of our Hot Stone Massage along with the relaxing and healing benefits of Le Reve’s aromatherapy contribute to an amazing spa experience which will leave you feeling renewed and restored just as the land after a good rain. Call 805-564-2977 to book your Healing Stone Massage with a Le Reve Spa Coordinator or Book Online.